Rapid Reel Team Sign Up! 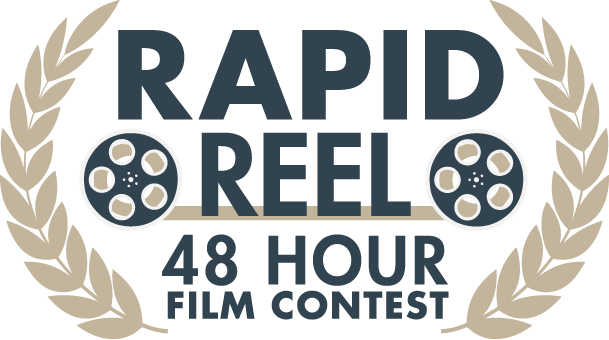 We are so excited to be back with our 48 hour film contest, Rapid Reel! Sign up your team now below and get ready to join us for the filming weekend of April 6-8! Our 48 Hour Film Challenge returns! You will have 48 hours to script, create, film, and edit a short film that runs between 5-6 minutes (credits included!). All footage must be filmed with an Iphone, Android or tablet device. No experience required! Submissions will be screened at a special Gala screening event at The Juvenis Festival on Monday, April 30 at The Screening Room. A panel of judges will judge the submissions and finalists will receive a Grand prize (details to come soon!). You must register by 11:59pm on Monday April 2! To begin the challenge, we will call you to assign you a prop, genre, and line of dialogue that must be used in your film. Your film must run 6 minutes or under to be eligible, including any credits. Submission Deadline for all films is 6pm on April 8th, 2018 along with a description of your piece that includes: the name or names of the participants and their roles, a short synopsis (maximum of 2 lines) of the work, a contact name, phone number and email address.